Russell King’s house is the only beachfront property in his town to survive the storm with little damage. Currently, the pipeline is 86 percent done and will be completed this year. The Trump administration’s refusal to address climate change ensures that more catastrophic storms are on the horizon. It may be years before marine life can recover from the impacts of the ongoing explosion of toxic algae in Florida. Florida Gov. 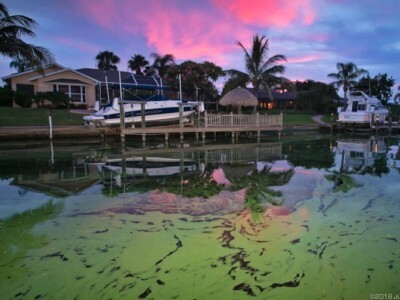 Rick Scott has played a role in weakening regulations that protect water. Years After EPA Cited Health Risks From Chemical Plant, Is Enough Being Done? Regulators haven’t resolved issues swirling around emissions released by the Denka Performance Elastomer plant. While pipeline opponents won initial victories at the state and federal levels, construction has continued. A path of shredded trees cuts through the massive river swamp. Manchac is next to two protected wildlife management areas and is already a tourist destination. Dealing with the Bayou Bridge Pipeline representatives has left a bitter taste in the mouths of residents.